Generous knit hoodie with pockets. 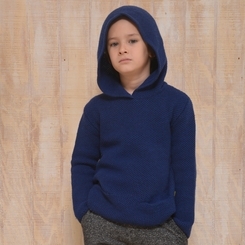 100% Organic Merino wool. Imported from New Zealand.